Let's flash back to childhood, shall we? We don't know about you, but the most fun we ever had at a restaurant was zooming through a McDonald's PlayPlace. 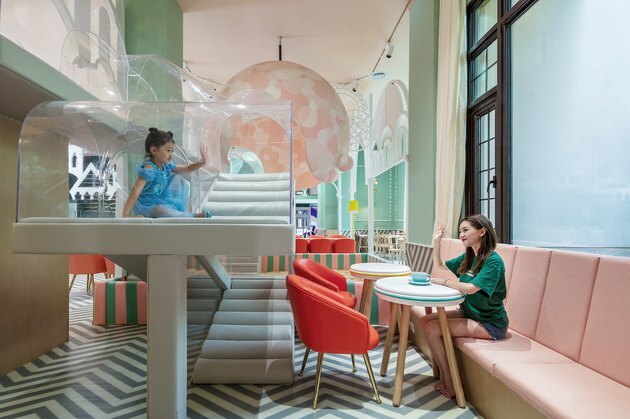 Now, there's a new eatery in Shanghai which pretty much puts our childhood fun to shame: Neobio Kids Restaurant is beautifully designed, pastel paradise engineered for specifically for playtime. 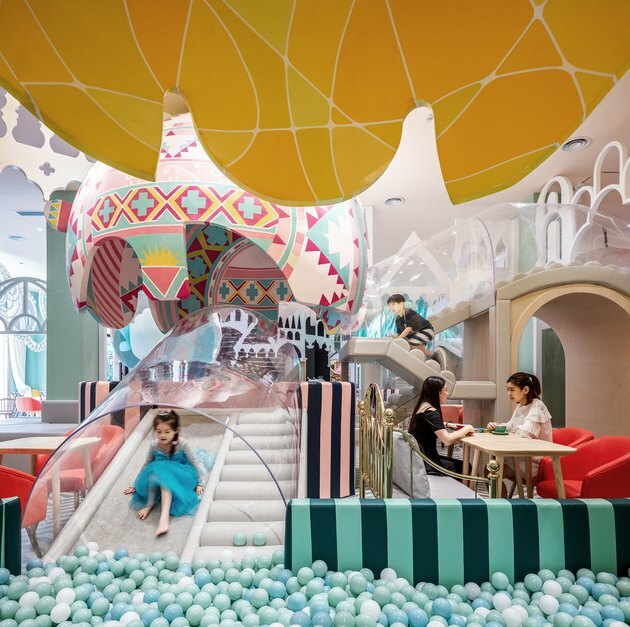 Chinese design firm XL-Muse spearheaded the project, which was inspired by a colorful hot air balloon rising up from an ancient castle. Calm your mom panic! 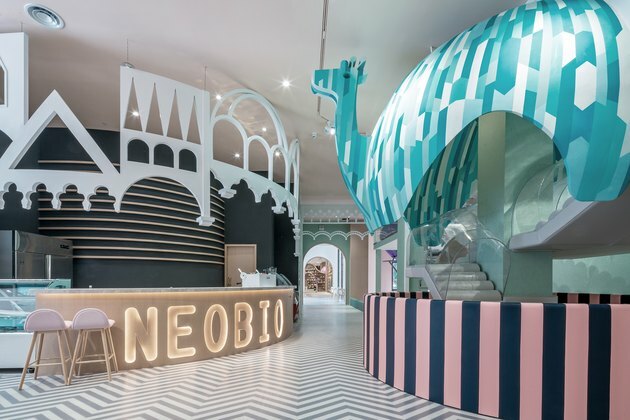 Neobio has transparent acrylic crawl ways, allowing kids to explore, while allowing parents to keep tabs on their young ones. Under each "hot air balloon" there is a pit filled with something fun, like toy balls or sand. 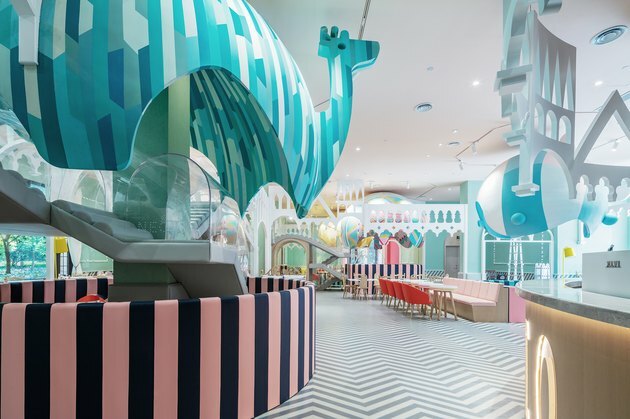 Winding and wavy crawl ways connect all the pits, so children can explore freely. The restaurant's theme actually has more to it: The castle and hot air balloon are meant to be a metaphor for the relationship between a parent and child, with the balloon symbolizing children's vitality, and the castle representing a sense of history (you know, like the wisdom of a parent). 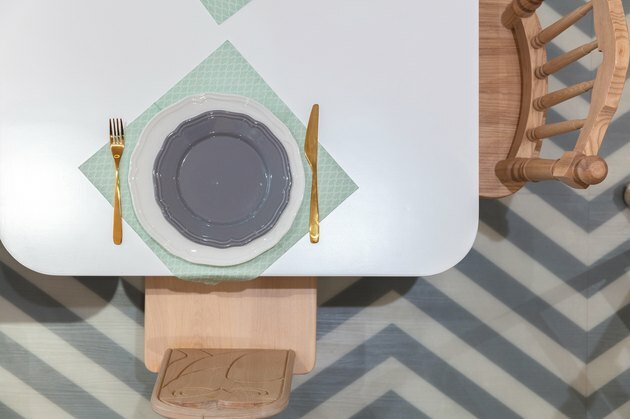 Neobio's rule-breaking decor mixes natural wood elements with patterns and pastels.